Thank you for providing a grant for Student Tool Store at the Kittyhawk Academy, a program of the Warbirds of Glory Museum. You have just made one student very happy! Thank you! Students earn 12 points for each hour of lesson or general volunteering time at the museum. 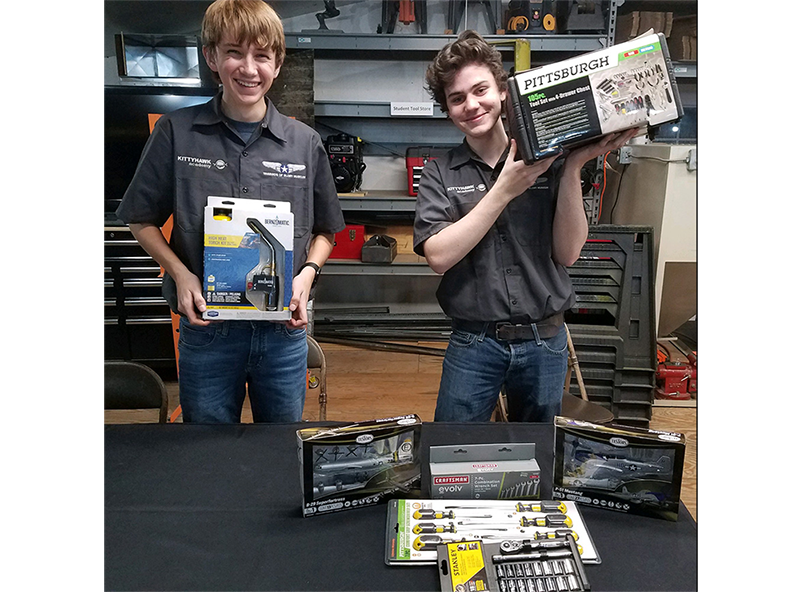 The Tool Reward Store includes an assortment of items including wrench sets, socket sets, screw driver sets, used tools, museum apparel and more. Would you like to be part of this? A majority of these items were funded by partners, sponsors and donors. We are rely on the generous support from contributors like you to fund our projects, operations, programs, workshops, capital improvements, and other expenses. The Museum is a 501(c)3 public charity. A tax-deductible gift receipt is available.